Wooden products shouldn't be placed directly in water or the dishwasher. Wash with warm, soapy water, rinse, then pat dry. With clean cloth, apply oil liberally to entire surface of board. Allow to absorb overnight, then wipe of excess in the morning. Continue to condition with mineral oil once per week with frequent use. Additional mineral oil may be purchased here. 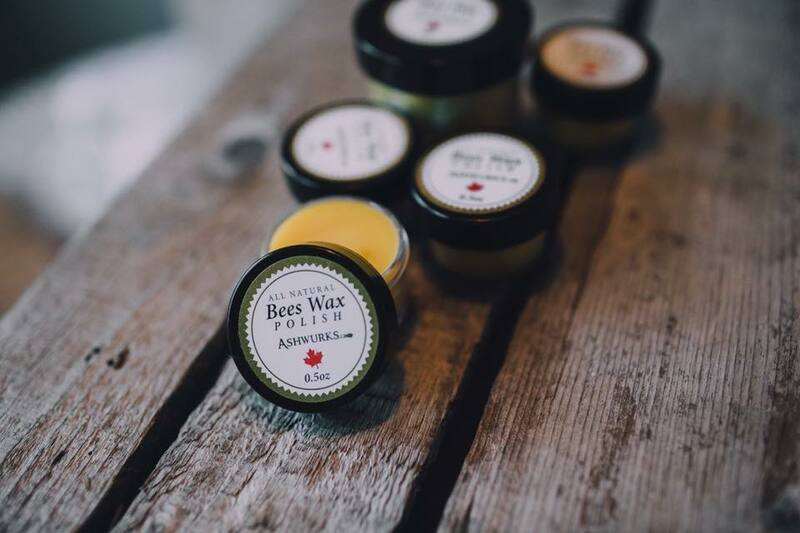 Bees wax is perfect for any wooden items that aren't meant for cutting on, such as wooden plates, knife holders, knife rests, charcuterie boards, wooden spoons, bowls, furniture, etc. 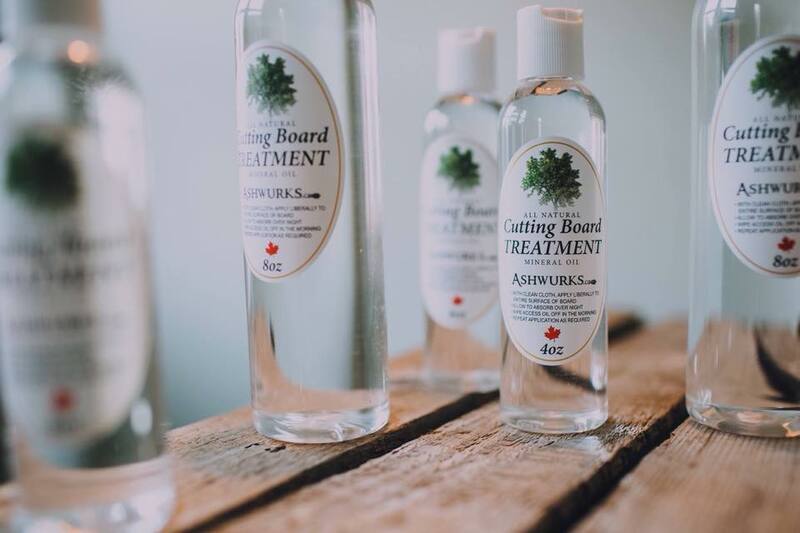 Scoop Ashwurks Bees Wax Polish onto a clean dry cloth, rub the polish firmly into the wood, adding more as needed. Buff lightly with a clean dry cloth until the surface is smooth and no longer sticky. Reapply when wood is looking or feeling dry. Additional bees wax may be purchased here. ​With proper use and care, your products will become family heirlooms.